If your roof is between 5 and 10 years from, it’s a good idea to get an expert out there to assess its condition. 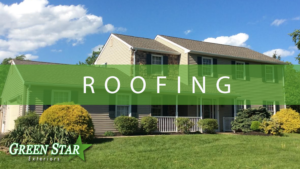 The roof should be evaluated by a professional roofer prior to installation to avoid having to make improvements during the lifespan of your solar panels. Most solar companies are not roofing contractors, although there are some exceptions. Either way, “re-roofing” is commonly done alongside a solar installation, and your solar contractor likely has good referrals for roofers in your area to contact. There are multiple contractors who will evaluate your home at no cost and determine what type of work is necessary to move forward. ar with a roof replacement, the panels actually extend the lifetime of the portion of the roof that they cover. The other benefit of pairing solar and a roof replacement together if you’re installing on a new roof, it’s unlikely you’ll need to re-roof during the lifetime of the system. This can help save you money in the long run, because you can avoid the costs associated with removing and reinstalling the solar panels on your roof.